Who isn’t irresistibly drawn to a travel mini? There’s something about teeny-tiny deodorants and bottles of shampoo that really gets us going, and I think a holiday highlight for many girls is popping into the drugstore to get their travel minis sorted – then it really feels like the fun can begin! When we booked our ‘babymoon’ to Italy waaay back in May, I started to comb through my own collection to see what was running out and what needed replacing. Being a product junkie, I find it impossible to cut down on the amount of stuff I need, so I have to try other ways to cut down space wise! 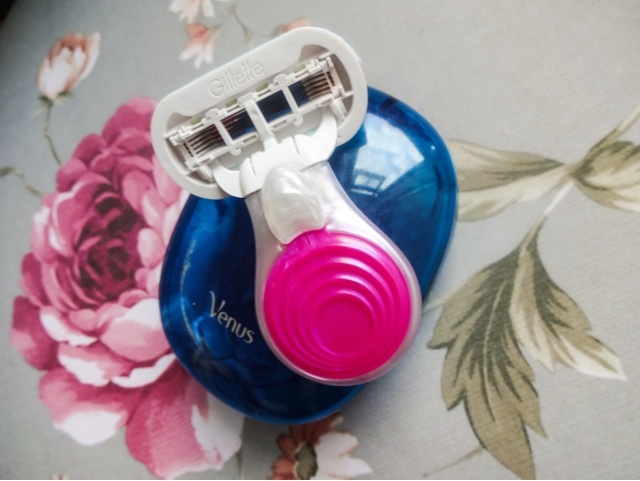 So when I saw this Gillette Venus Snap razor, it seemed like the answer to save space on awkwardly shaped razors. 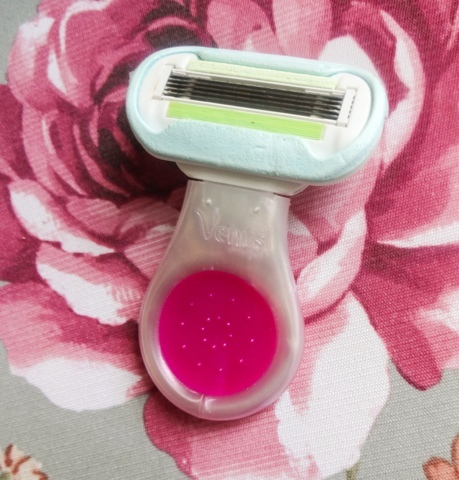 Being a wuss about waxing pain and also a bit of a body hair phobic, a razor is something I need every time I shower, and I wouldn’t think of going away without popping one in my travel bag. The Venus Snap is designed for ‘smoothness on the go’ with the intention that its super easy to pop into a handbag or carry-on. Although I don’t think I’m going to start carting this around every day, if you are prone to lots of spontaneous nights out (hey, it happens! ), this would be ideal to stash in your bag, gym kit or desk drawer for emergency de-fuzzing. Its also ideal for taking in my hospital bag when the baby is due - I'm not 100% sure I'll be all that concerned with shaving my legs, but then again you don't know how long you'll be in hospital and I don't want to feel that I can't get clean properly afterwards - and having fuzzy legs just doesn't feel clean to me. What I especially like about the Snap is that you get the usual quality Venus blade, so you’re not downgrading for the sake of convenience, but its attached to a very small, but easy to grip, round handle. Having such a short handle actually gives a nice amount of control and precision. The blade can be refilled with any Venus cartridges, so if you use that model at home too, you don’t have to keep different blades - another big plus. The razor comes packed in a hard plastic shell, like a soap case, for travelling – the OCD in me is also gaga for things with travel cases, so this was a big selling point to me! The only thing I didn’t like was the fact that the case is dark blue. It clashes with the pink handle for a start! I would have preferred another colour or a choice of colours, but I’m sure if this takes off, they will produce different variants. As the blade has moisturising bars, technically all you would need is water for a smooth shave. Although hair oil or hand sanitizer can also be used for creating ‘glide’ when shaving in a fix. 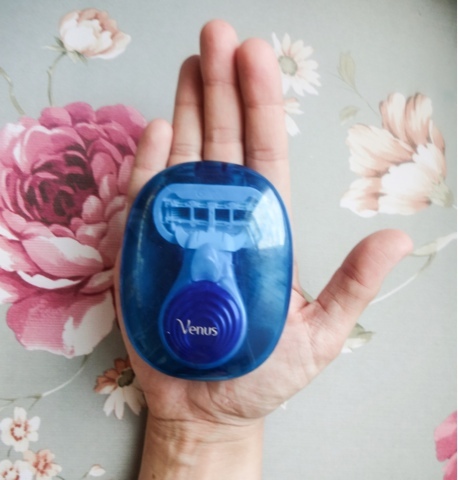 Venus is the most popular women’s brand because it performs well and doesn’t irritate skin, so you can rely on having silky smooth pins on your travels. I've used it without any gel and it was just fine. I love how portable this is, and how compact. I used to use a Wilkinson Sword razor a few years ago that had a short handle ideal for travel but they stopped producing it, and its been a minor niggle since then that there weren’t really any compact travel razors for girls widely available. The only thing that could improve it would be the addition of a suction cup on the back so you could stick it to the wall in the shower, but its pretty great as it is. 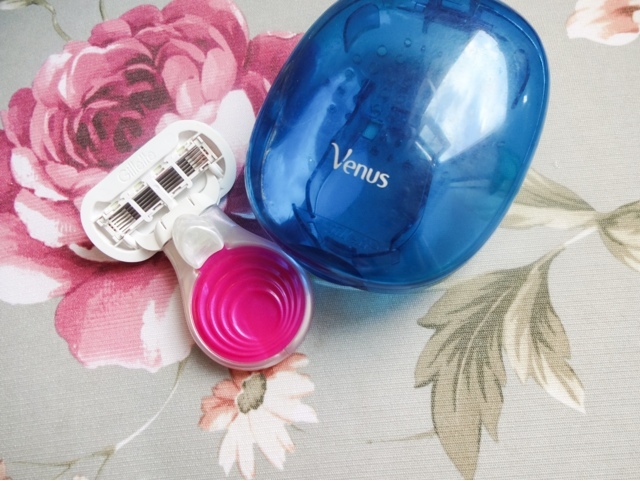 The Venus Snap is usually £9.99 but can be found on offer at Boots at the moment for £4.99, so snap it up while its half price.